Let’s start at the very beginning… and it’s never too early to start! Children learn pitch and rhythm through their own voice. Young children naturally call out ‘Mu – mmy!’ in two notes – descending minor thirds in fact! – and that is where our songs start out. Using hand signs with pre-schoolers helps to distinguish each note. Rhythm and structure develop from the musical activites in the drop-in classes. DoMiSo Music School bases its teaching methods on those of the Hungarian music educator Kodaly. The basis of this method is that the earlier you begin teaching the enjoyment and practice of music to children, the greater the long-term enjoyment and benefits. If your pre-schooler is giving you a few minutes peace – you might like to dip a little further into the research by reading the excerpts below. Research into the benefits of music is both long-standing and wide-ranging and the results are now based on long-term evidence. Speech and music have a number of shared processing systems. Musical experiences that enhance aural perception can therefore sharpen the brain’s early encoding of linguistic sound. Speech processing requires similar sensitivity to contour as perception of melody. Learning to read music contributes to the development of literacy skills. Musically trained participants remembered 17% more verbal information than those without musical training. Learning an instrument particularly helps spatial reasoning. Kodaly music lessons have shown to impact the increase in IQ. Measured creativity is also enhanced by participation in music, particularly when the musical activity itself is creative, for instance, improvisation. Playing an instrument can lead to a sense of achievement, an increase in self-esteem, increased confidence, persistence in overcoming frustrations when learning is difficult, self-discipline and provides a means of self-expression. Adolescents spend many hours each week listening to music and the type they listen to makes a major contribution to the development of self-identity and provides a source of support. The recognition of emotions as expressed in music is linked to measured emotional intelligence. 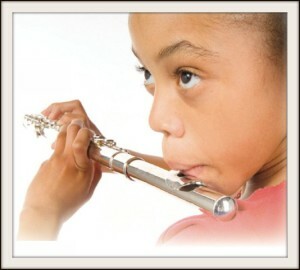 Positive effects of musical participation only result if the experience is enjoyable and rewarding for the individual. Although not all mathematics tasks share the underlying process with those involved in music, it seems that training on rhythm instruments can improve ability with maths problems. The five skills areas above are taken from the research of Susan Hallam, from a paper entitled ‘The Power of Music; its impact on the intellectual, social and personal development of children and young people’. University of London, Institute of Education. Nearly 20 years ago a small study advanced the notion that listening to Mozart’s Sonata for Two Pianos in D Major could boost mental functioning. It was not long before trademarked ‘Mozart effect’ products appealed to neurotic parents aiming to put toddlers on the fast track to the Ivy League. Georgia’s governor even proposed giving every newborn there a classical CD or cassette. The evidence for Mozart therapy turned out to be flimsy, perhaps nonexistent, although the original study never claimed anything more than a temporary and limited effect. In recent years, however, neuroscientists have examined the benefits of a concerted effort to study and practice music, as opposed to playing a Mozart CD or a computer based ‘brain fitness’ game once in a while. Advanced monitoring techniques have enabled scientists to see what happens inside your head when you listen to your mother and actually practice the violin for an hour every afternoon. And they have found that music lessons can produce profound and lasting changes that enhance the general ability to learn. Studies have shown that assiduous instrument training from an early age can help the brain process sounds better, making it easier to stay focussed when absorbing other subjects, from literature to tensor calculus. The musically adept are better able to concentrate on a biology lesson despite the racket in the classroom or, a few years later, to finish a call with a client when a colleague in the next cubicle starts screaming at an underling. They can attend to several things at once in the mental scratch pad called working memory, an essential skill in this era of multi-tasking. Discerning subtleties in pitch and timing can also help children or adults in learning a new language. 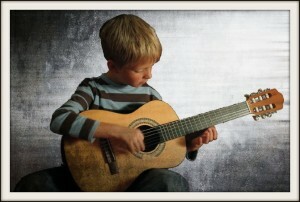 Sustained involvement with an instrument from an early age is an achievable goal even with tight budgets. Music is not just an ‘extra’. ‘Building Baby’s Brain – The Role of Music’ – Diane Bales PhD. In this paper, Dian Bales writes: Music seems to prime our brains for certain kinds of thinking. After listending to classical music, adults can do certain spatial tasks more quickly, such as putting together a jigsaw puzzle. Why does this happen? The classical music pathways in our brain are similar to the pathways we use for spatial reasoning. when we listen to classical music, the spatial pathways are ‘turned on’ and ready to be used. This priming makes it easier to work a puzzle quickly, but the effect lasts only a short time. Our improved spatial skills fade about an hour after we stop listening to the music. Learning to play an instrument can have longer-lasting effects on spatial reasoning, however. In several studies, children who took piano lessons for six months improved their ability to work puzzles and solve other spatial tasks by as much as 30 percent. Why does playing an instrument make such a difference? Researchers believe that musical training creates new pathways in the brain.